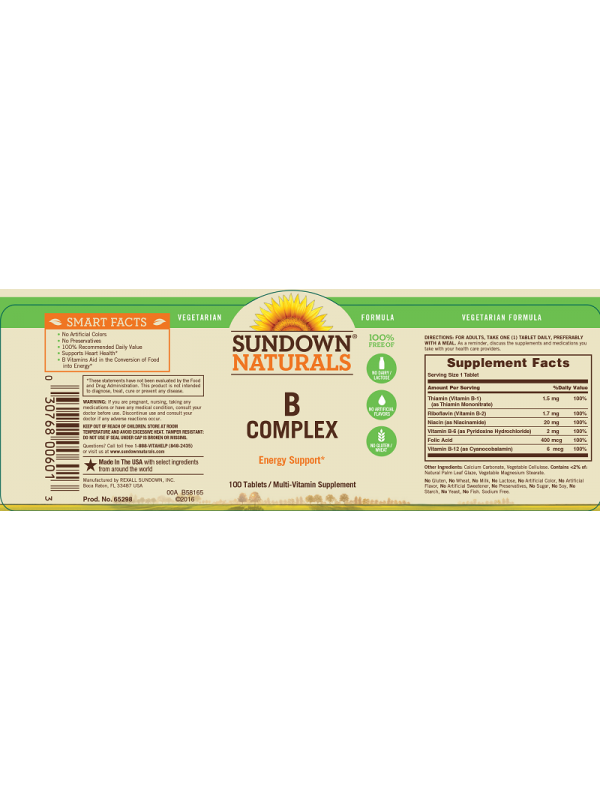 Sundown Naturals has developed a variety of B Vitamin Complexes to suit your individual needs, made up of several vitamins that work well together to support nervous system health. 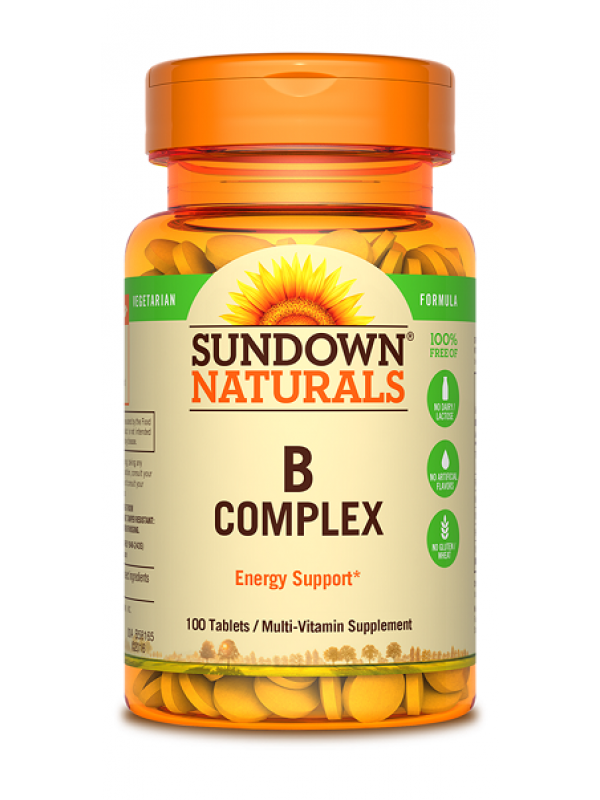 * Each nutrient in the B-Complex performs a unique role in maintaining proper metabolic functioning and is essential for well-being. * This product delivers 100% of the daily values for the important B Vitamins in convenient tablets.